Reddit is the ultimate platform to find every type of content - news, politics and entertainment. When done well, it can be leveraged as a marketing platform to increase traffic to your site and generate a copious amount of brand awareness. While Reddit has huge potential for success, it’s not one that brands usually utilise to its full potential. 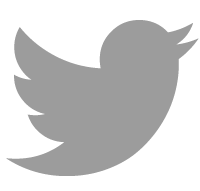 Historically, brands have steered clear for fear of their name being tarnished by the Reddit community for advertising in a space that has been reserved for entertaining and useful content. Adverts and spam from brands cause backlash and threads of negative comments which companies would rather avoid altogether, missing the chance of creating a community around the brand. 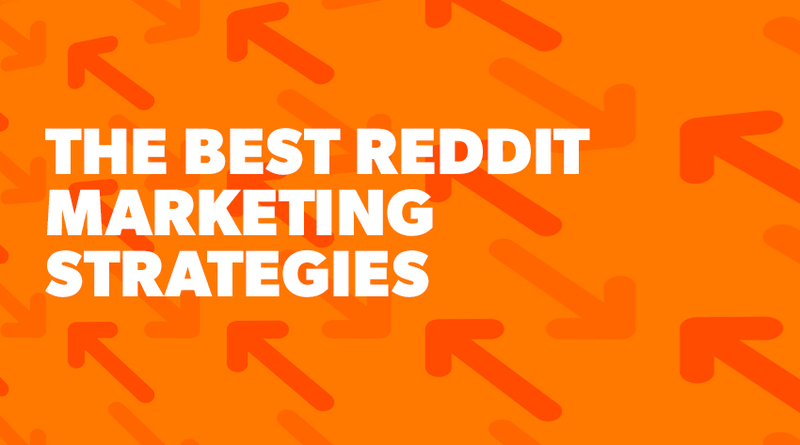 In this piece, we will explore the brands that got it right and highlight what made it successful to pinpoint what to include in your Reddit marketing strategy. Due to the nature of Reddit, anything you post can’t be promotional or heavily branded. You’ll be marked as spam and will feel the wrath of the Reddit community with downvotes; banished and never to be seen again. Because of this, the content you produce as a brand must be brilliant, fitting in with one of the many reasons that users visit Reddit. Trending, entertaining, informative or emotive pieces of content are all worthy contenders to compete in the Reddit space, putting your brand at the heart of it. Below are some key examples from across the Reddit space that gained a significant amount of upvotes and shares, thus creating an uplift in traffic and awareness for the brand. KFC were in the limelight on Reddit earlier this year when someone picked up on who they decided to follow. 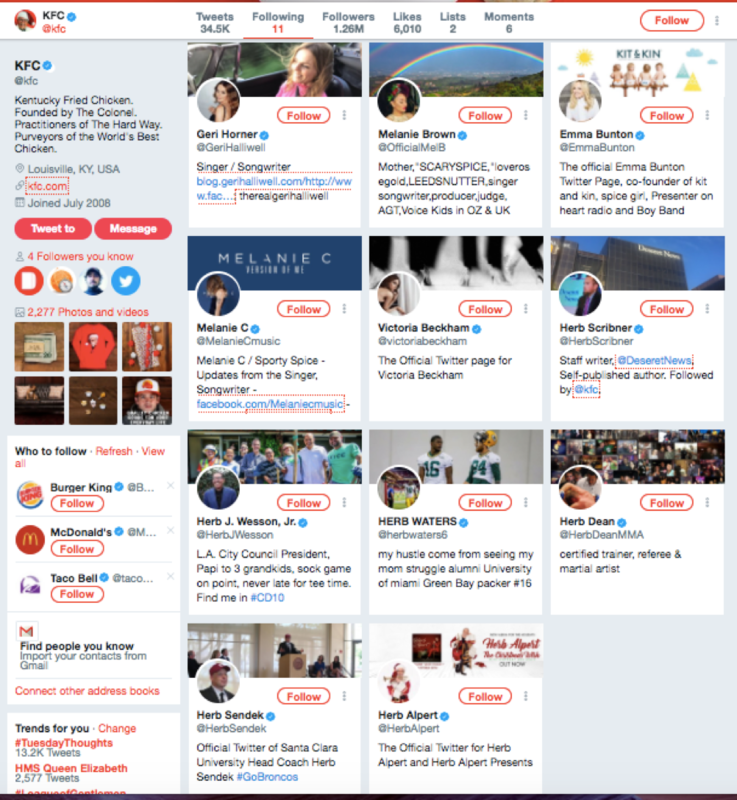 In total, KFC only follow 11 people which seems odd at first until you look at who these people are. 11 herbs and spices - the famous recipe that has made KFC a firm favourite in households for many years. 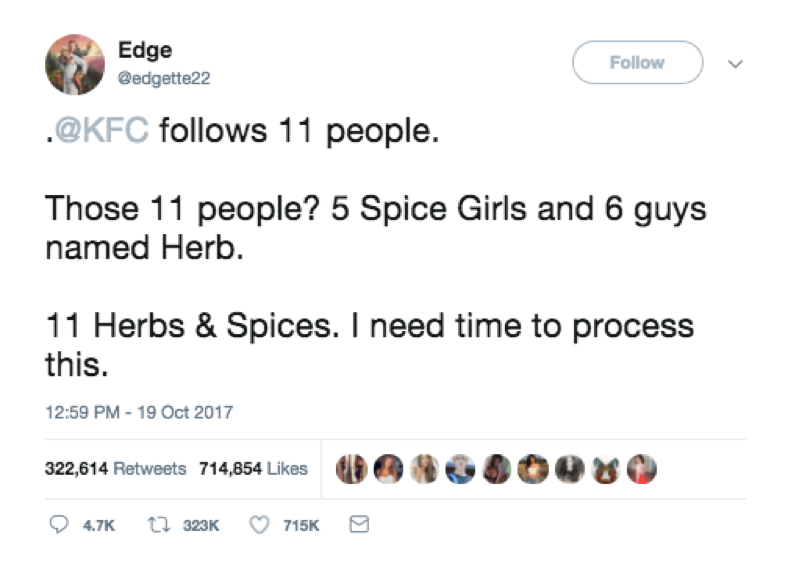 The clever tactic to follow the five Spice Girls and six men named Herb was first picked up on Twitter, gaining more than a whopping 320,000 retweets and 714,000 likes. It was then moved over to Reddit where it gained 74k upvotes and over 1,000 comments on the initial post. The reaction to this piece was incredible and accelerated awareness for the brand. As well as the main post on Reddit, it put them in the centre of conversation among a number of other subreddits, gaining further traction. Something to bear in mind with this post is that it was later revealed that the comment was planted by a PR agency which tainted the initial discovery but still, the conversation was started and the coverage was colossal. When including something like this in your marketing strategy, it is vital to ensure that whoever is starting the conversation is independent and can’t be identified with the brand to maintain its authenticity. This isn’t the first time that KFC have used quirky, entertaining ideas to generate conversation. 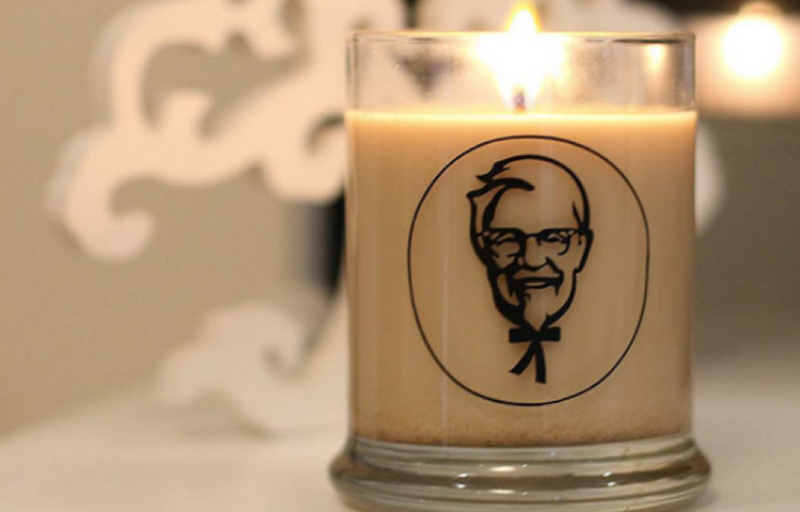 They released a chicken-scented candle which was discussed on Reddit and picked up by household names such as the Telegraph, Mirror, NME & Metro. Anna Kendrick and Glamour used Reddit in a slightly different way. Instead of posting on Reddit, they used existing content from the site on a subreddit; /r/Showerthoughts. To coincide with her cover shoot for the magazine, Anna & Glamour created a video which was posted on YouTube where Anna recited some of the funniest and 'out there' shower thoughts submitted by the Reddit community. The video itself received over 1.5 million views and 10,000 likes. 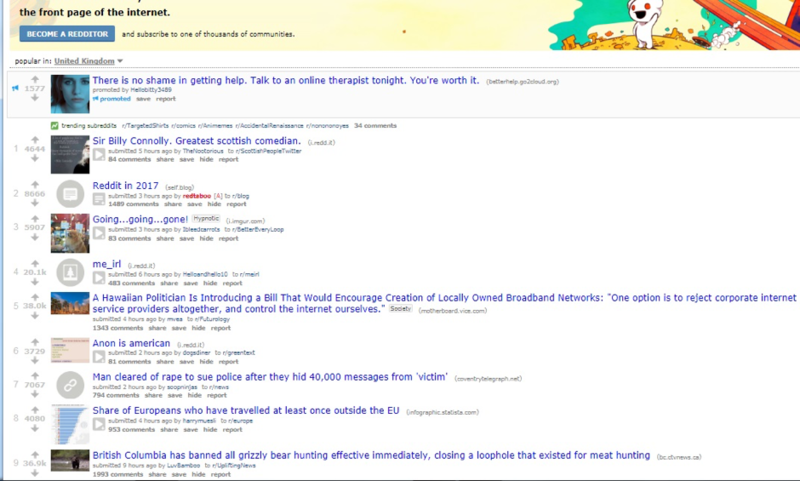 This example shows how Reddit can be used indirectly to generate awareness on other platforms that are more welcoming to branding and promotion. That said, the video did find its place on Reddit, being submitted by a multitude of Reddit users talking about it and adding to the list of shower thoughts. There are subreddits for just about any topic and niche you can think of. 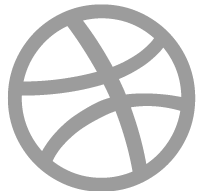 Leveraging popular existing content on Reddit that has a significant following to use as a topic of conversation in your own content creation means that you are creating content that is relatable to a vast, already established audience. While a very simple question, it’s a very intelligent tactic that reaches out to Redditors to get involved with a conversation, one of the main uses of the entire platform. Secondary to this, Nissan started gifting the requests of the Redditors which then added further value to the conversation. Just some of the gifts given include subscriptions for Reddit gold membership, a pizza cutter and a diamond necklace. The conversation itself won over Redditors with witty and informed responses that tackled difficult comments as well as welcoming ones. It’s important to reply to comments on Reddit and provide answers and feedback in an honest and genuine manner. Sometimes, it’s not the response that the audience want to hear, however, this gains the trust on Reddit far more than scripted, vague answers. Building trust into your brand is imperative and Reddit contributes to this. This was enough to capture over 1,000 mostly positive engagements from Redditors which for a brand on Reddit is a great achievement. Nissan didn’t stop there. A couple of weeks after this, a rather impressive Amazon delivery was spotted by a neighbour which was posted to Reddit. Initially, this announcement was due to be revealed with a press release and pushed out via more traditional forms of marketing. However, the picture was posted by a Redditor prematurely and the traction it gained was significant. It attracted over 4,000 comments, more than the first post from the Nissan Redditors. This shows that activity on Reddit can be scaled. If an initial idea gains interest and the audience responds well, leverage it. Of course, there is an element of being in the right place at the right time and all ideas are subjective so something you may think will work really well may flop and be pushed down as quickly as it is posted. Linked ideas allow the audience to resonate with what they have seen previously. It creates a story for the brand that Redditors can follow which makes them a part of the community and is a good tactic when trying to implement brand loyalty and trust. Another important point to consider is that this post was something out of the ordinary. In our usual landscape we wouldn’t see Amazon deliveries of that scale and the branding and packaging makes it very recognisable so the audience doesn’t have to think too hard about it. 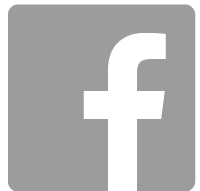 It works to shock and entertain which makes it shareable and interesting to a wide audience. Visual representation is also key on Reddit. Below you can see the top nine trending pieces at the time of writing and more than 50% are supported either by video or an image. Video, GIFs and memes are the most engaged with and receive the most comments, and are a must when using Reddit in your marketing strategy. While some of the biggest, most iconic campaigns have been mentioned, smaller campaigns have also had success. 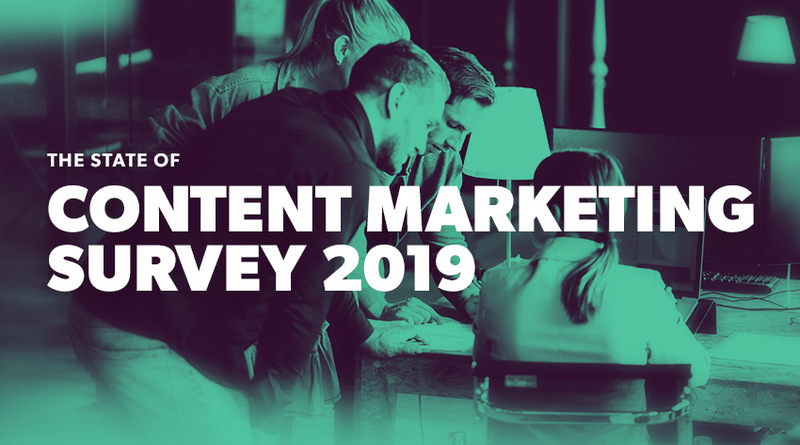 As mentioned, Reddit is so granular and niche, by placing content that is genuinely valuable to the audience it can be successful in gaining attention from its intended audience that has more incentive to convert as opposed to a wider market. An example of this - although not associated with a specific brand - is this post on the subreddit YSK (You Should Know). It had significant engagement on the post but what really speaks volumes is how influential Reddit can be to generate an uplift in traffic. The below graph looks at sessions and traffic immediately after the link was posted to the subreddit. The traffic dropped almost as quickly as it peaked so it’s worth considering that Reddit isn’t a tactic that should be relied on for consistent results. But it can be used as a quick win for increasing traffic and to further the reach of existing campaigns. There is no reason that a brand can’t be the one to provide this informative content. In the same way that in search you’d aim to provide the most relevant and useful content, this works the same for Reddit. While it’s great to see companies utilising Reddit as a platform in itself, arguably, if the content is creative and helpful enough it should get picked up naturally by legitimate Reddit community members. One of the most memorable is that of IKEA. 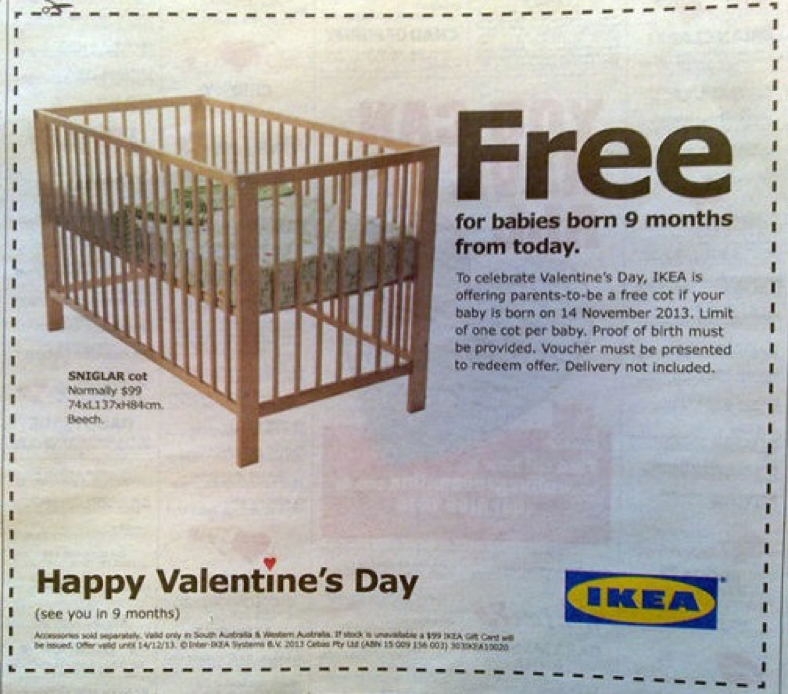 Ikea used traditional print advertising to capture the attention of the mass market using a promotion for babies conceived on Valentine’s Day. This was instantly picked up by Redditors. In your marketing strategy, it’s important to recognise and implement the primary promotion plan for a piece. 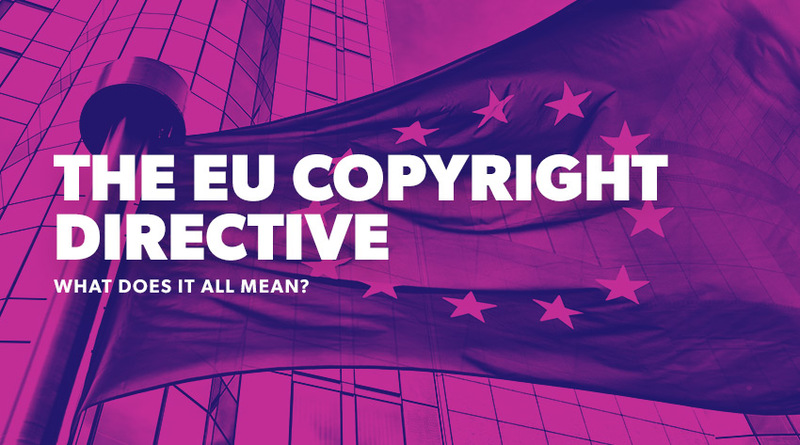 However, it’s also important that you consider any secondary purposes for the content such as how well it will do on a platform like Reddit. Ask questions like, 'is there an angle or element that can be included to make it more attractive for natural pick up on social?' Such considerations are vitally important when trying to achieve brand awareness. One final thing to consider is an AMA. 'Ask Me Anythings' are a useful tactic, if your brand/company already has some awareness behind it. 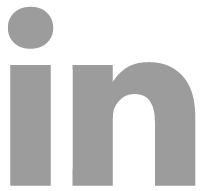 They enforce a name to a brand making it personable, approachable and conversational, which is the most important thing to members of Reddit. They also show a person or brand to be expert in their field, again looking at building trust into a brand from an engaged audience. Bill Gates was one of the best received AMAs. His initial aim was to discuss his foundation but he was presented with an array of questions which led him to openly discuss his products and company on Reddit. To use it in a marketing strategy, AMAs ideally provide some sort of brand awareness for the person answering the questions. Having said that, if an AMA was hosted by an expert in a specific niche that could educate and inform the audience, then this would also work and would allow conversation around brands and products more openly, if it was unbiased and impartial advice. 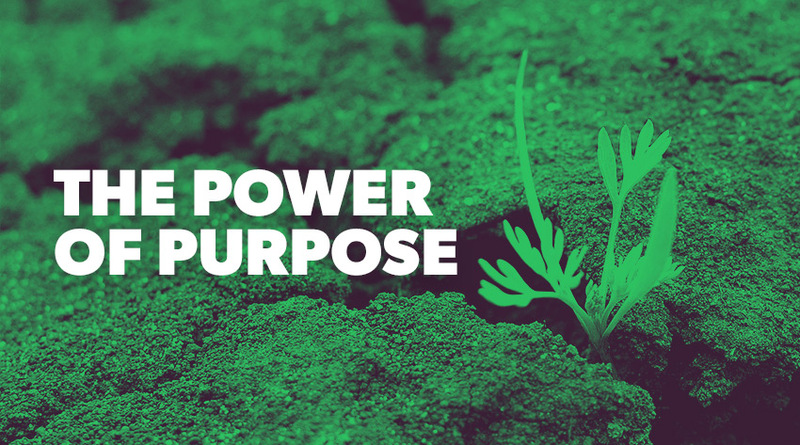 There are key elements that contribute to the above campaigns, reaping the rewards from Reddit that result in brand awareness, loyalty and trust, not to mention the tangible benefits such as increased traffic to their site. Tread carefully with Reddit and put the user and their needs first. If you are clever and creative with your Reddit approach then you set yourself up for the best possible return. Aim to be the thought leaders in your space and remember to be personable so that there is a face behind your brand name that belongs in the Reddit community.